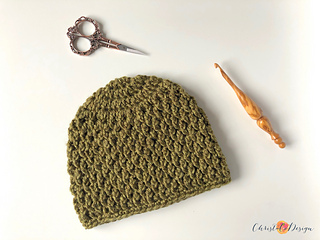 in alternate fpdc, dc x 8 rows = 4"
The Matteo Beanie is a highly textured top down beanie with easy to remember repeats. 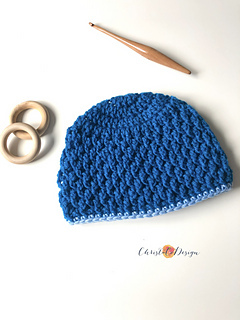 This hat pattern is available in sizes 0-3mos - Lg adult and looks great on babies and adult men. 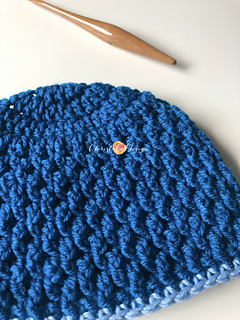 I’ve labeled this one intermediate as you will need to know how to place front post stitches, and a link to a video tutorial is included. 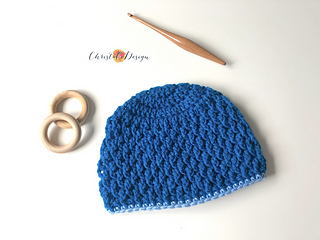 Crown circle and hat height measurements are included per size which makes adjusting for gauge/yarn differences easier.